The FiveThirtyEight forecast shows Sen. Kay Hagan, a North Carolina Democrat, with a 50 percent chance of winning re-election in 2014. On Sunday, FiveThirtyEight released its latest 2014 U.S. Senate forecast, predicting a Republican gain of six seats (with a large margin of error). That forecast is based partly on the generic congressional ballot, a standard polling question that pits a generic Democrat against a generic Republican in a race for Congress. Editor-in-Chief Nate Silver called it “the single best measure of the national political environment.” Currently, the generic ballot is roughly a tie among registered voters (that’s bad news for Democrats, who tend to underperform the generic ballot in midterm elections). The only year in which the president’s party improved its position by more than two percentage points was 1958, when Republicans under President Dwight D. Eisenhower picked up nearly six points on the generic ballot. 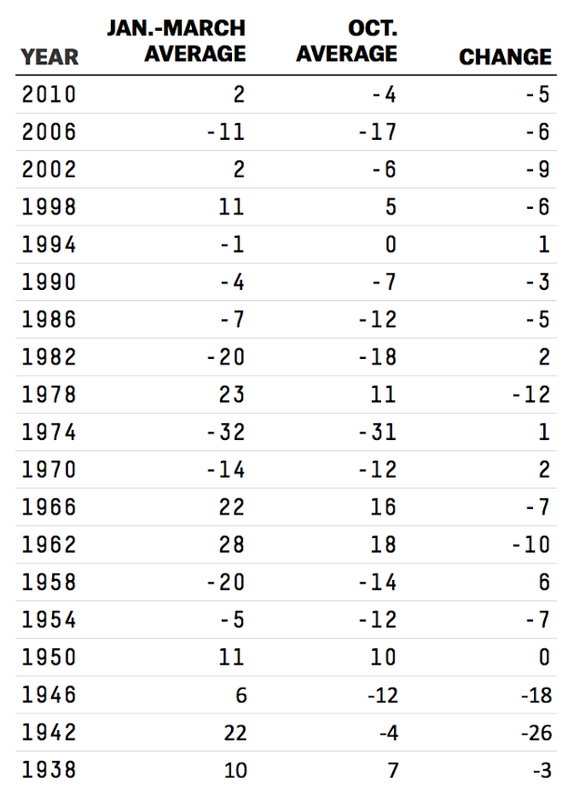 The party holding the White House gained two points or less in four other years (1970, 1974, 1982 and 1994). Every other year saw at least a small decay in the presidential party’s position on the generic ballot. The median year was 2010, when the Democrats’ position declined 5.3 percentage points compared to the Republicans’. In the past five elections, the median drop was similar — -5.7 points. Even if Democrats match the best improvement since 1938 — Eisenhower’s six percentage points — it might only result in a neutral political environment. Democrats have done worse among likely voters (and actual voters) than among registered voters in recent midterm elections. In 2010, the gap between the two was six percentage points. These findings match prior work by political scientists, including Dartmouth’s Joseph Bafumi, Columbia University’s Bob Erikson and University of Texas’ Chris Wlezien. They showed that early generic ballots can be quite predictive of the outcome in House elections, once you correct for the bias illustrated here. I should be clear that 2014 could be different. History doesn’t always repeat itself. Also, many Senate races are just starting to develop. Candidates and campaigns for these seats will matter. Just ask Missouri’s Todd Akin. Still, in an era when Senate campaigns are becoming increasingly nationalized, it should worry Democrats at least a bit that, historically, the environment has either stalled or moved against the president’s party over the midterm year.